Encompassing an entire block of O Street between 25th & 26th Streets, these townhomes are the newest development in the burgeoning Church Hill neighborhood. Developed by John + Benedicte Whitworth, designed by award-winning local firm Architecture AF, and built by Urbancore Construction. 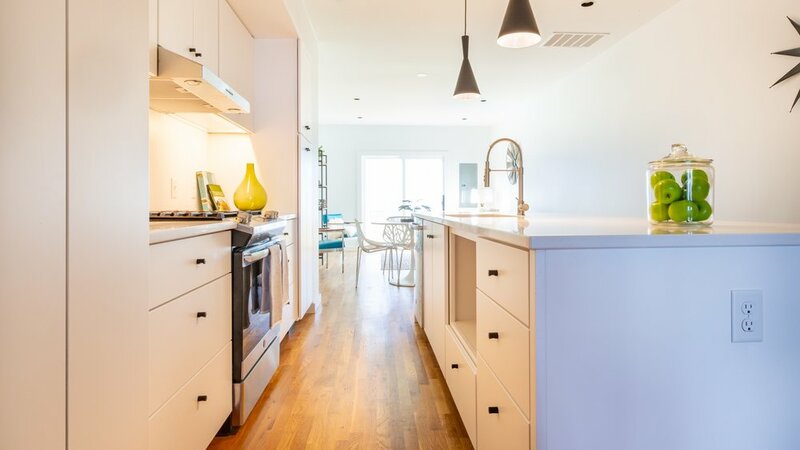 The homes successfully combine the best of Richmond’s history with contemporary space planning & modern lifestyles. A new, ground-up build bookends the existing 7 "new" homes revealing restored circa 1874 facades with completely new build-outs beyond. The townhomes, originally built in 1874, reflect Richmond’s history and Church Hill’s artisanal past. Developed by James Netherwood, the block was home to stone carvers, brick masons, engineers, lithographers, painters and a book binder. Please join us for a lively Modern Richmond Tour as we present several of these modern “new” homes.